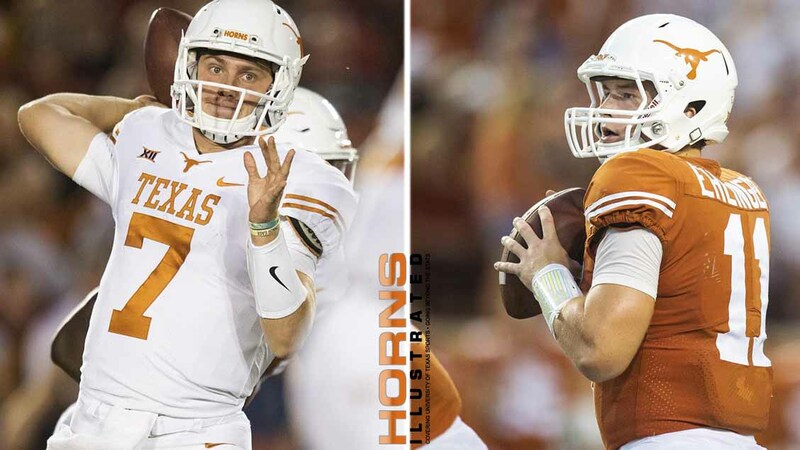 Texas football head coach Tom Herman said quarterback position for the Longhorns might come down to a platoon rotation between Shane Buechele (left) and Sam Ehlinger (photos courtesy of texassports.com; graphic by HornsIllustrated.com). AUSTIN, Texas — Here are a few of the things to watch for as the Longhorns (5-5 overall, 4-3 in Big 12 play) hit the road to play West Virginia on Saturday in Morgantown. Kickoff is at 11 a.m. CST.